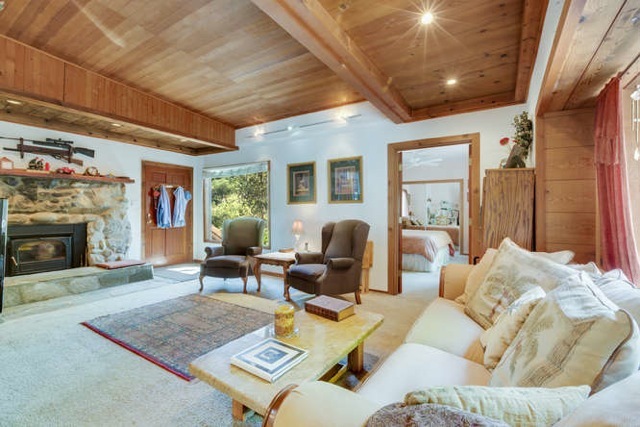 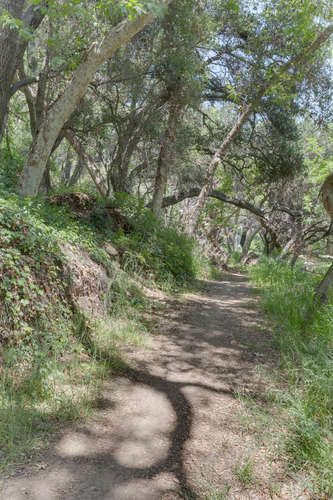 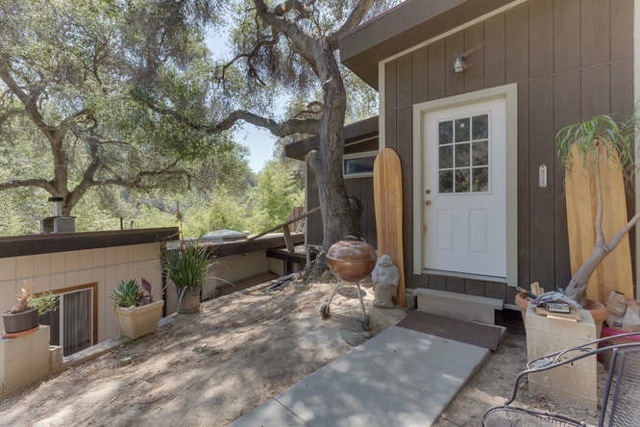 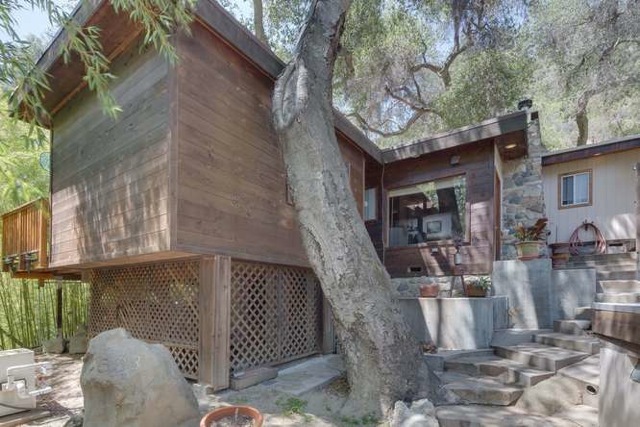 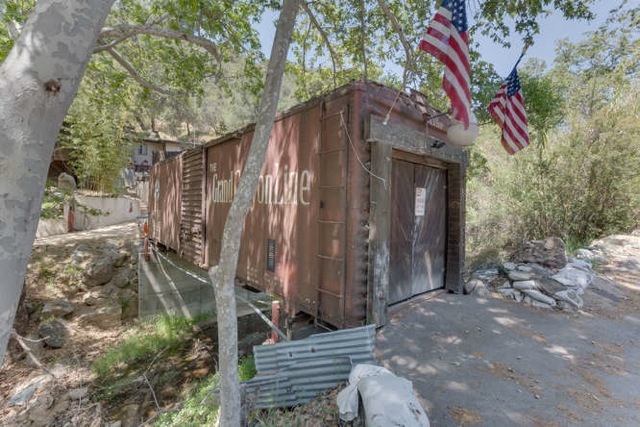 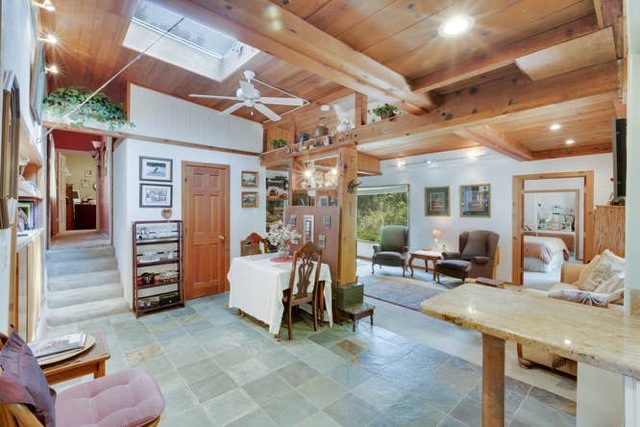 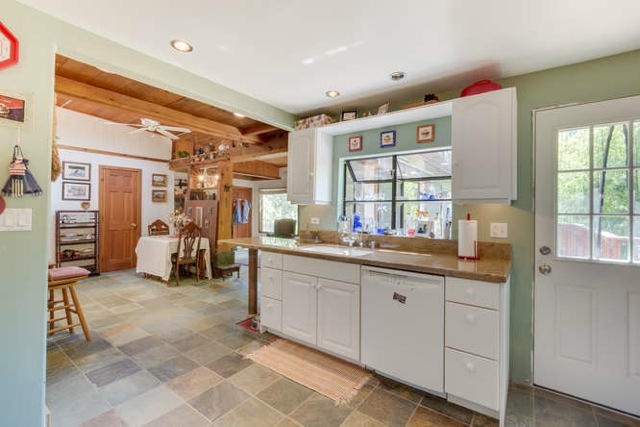 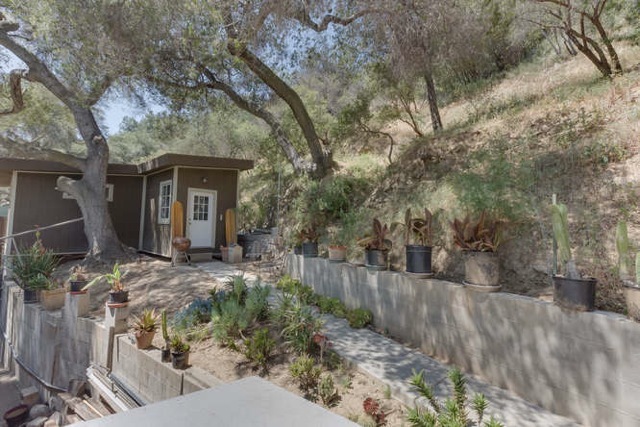 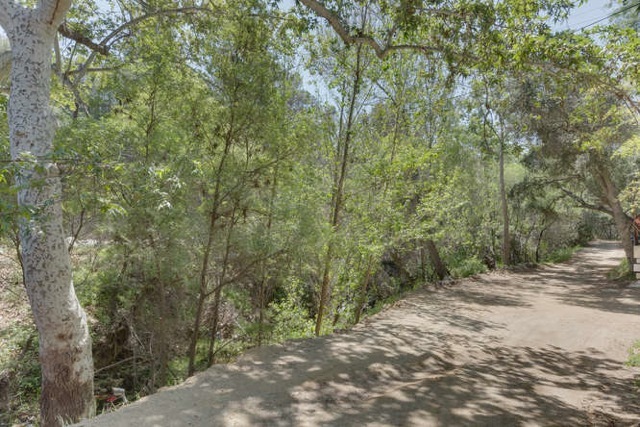 Landmark Topanga Homestead with Santa Fe Boxcar covered bridge (now workshop) set on approx 2 acres with 2 BDRM main house plus fully appointed Guest house/rental. 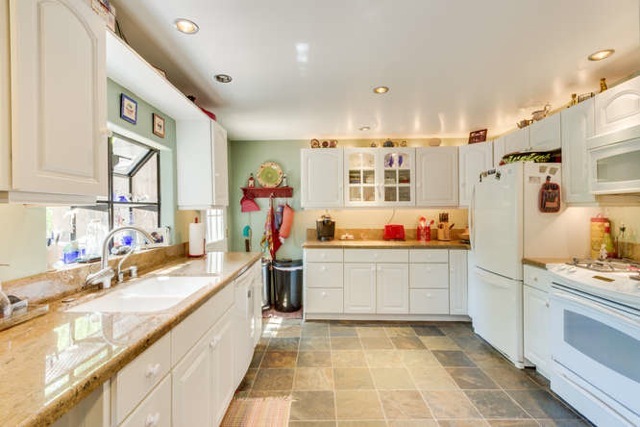 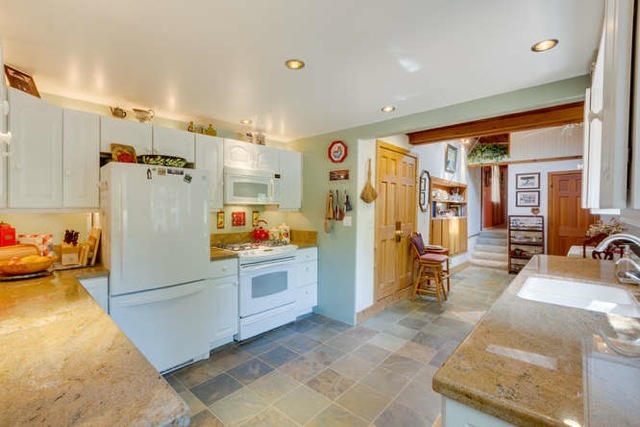 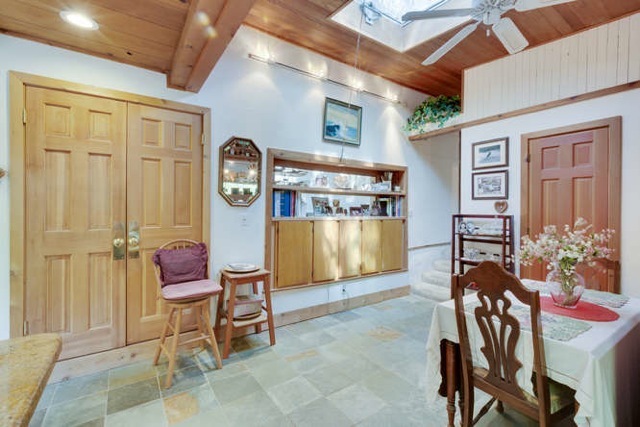 Lovingly maintained with wood, stone, and spacious updated kitchen and Redwood and Douglas Fir deck. 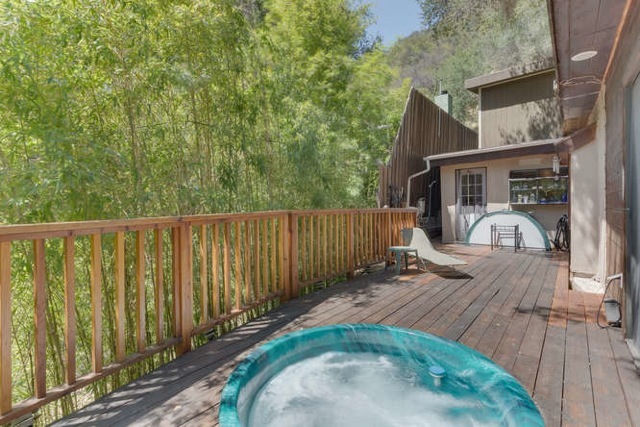 Hot tub/spa built into the deck surrounded by bamboo, and beautiful Oaks. 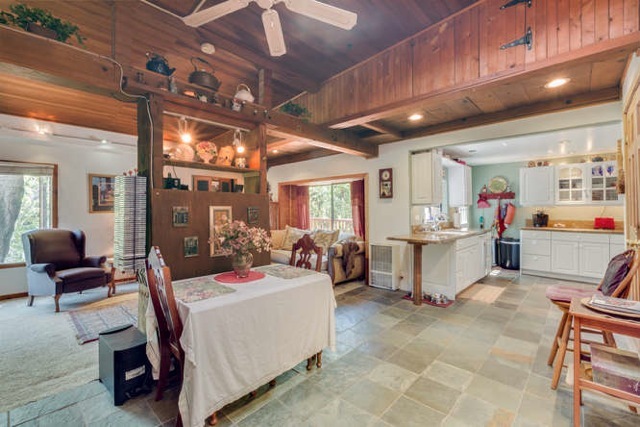 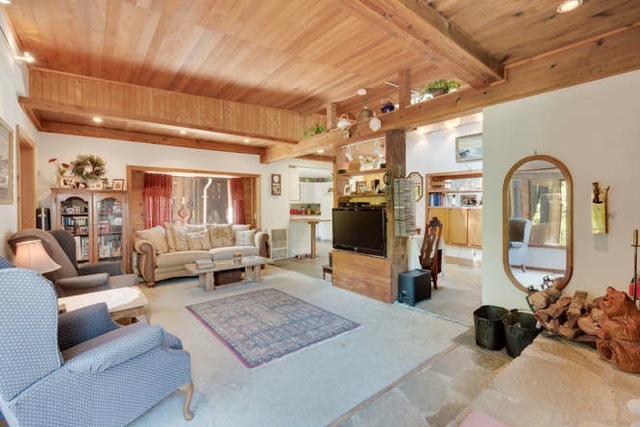 Stone fireplace with Vermont cast iron wood stove insert adds to the comfortable charm of this iconic creekside home, a place to kick up your feet and relax, yet close to everything – easy ride to the beach, schools and town.